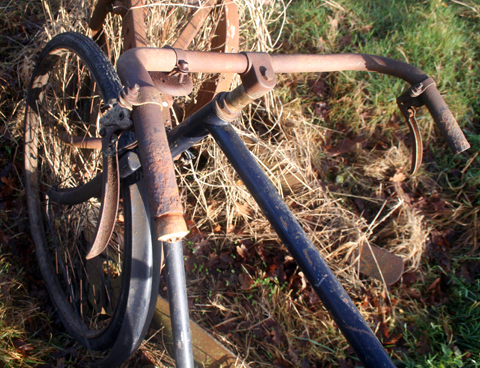 There’s plenty of documentation on the internet for early 1900s Terrots and also from 1920s onwards. 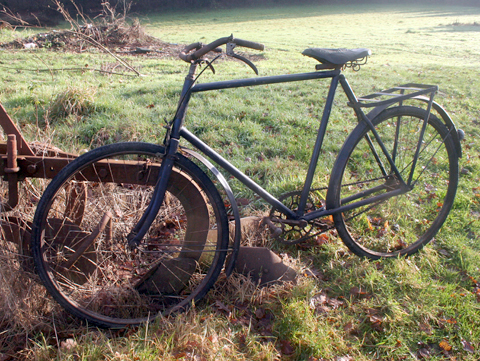 But researching a Terrot bicycle from this particular era has so far drawn a blank. I’ll find more info eventually and update this page. 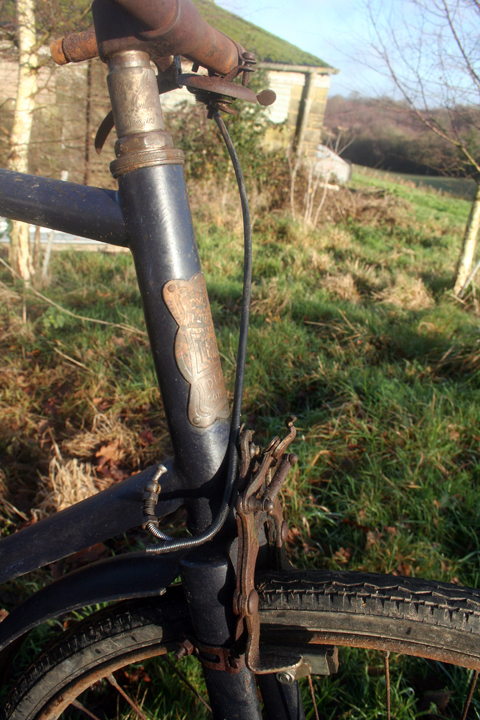 I bought this Terrot because it retains its Terrot head badge, though I will need to sort out the brakes. 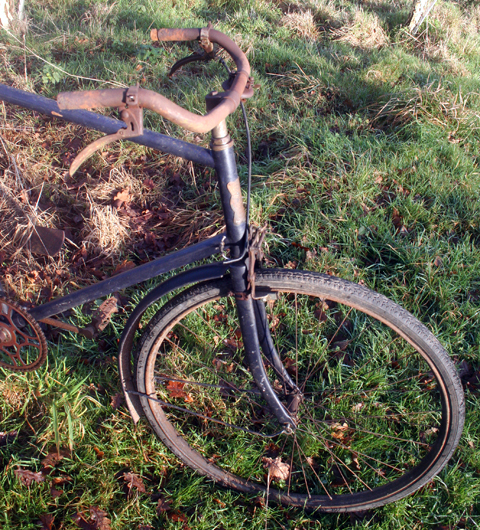 I also have a Terrot Ladies/ Ecclesiastical bicycle, probably from the twenties, and they will make a nice pair. 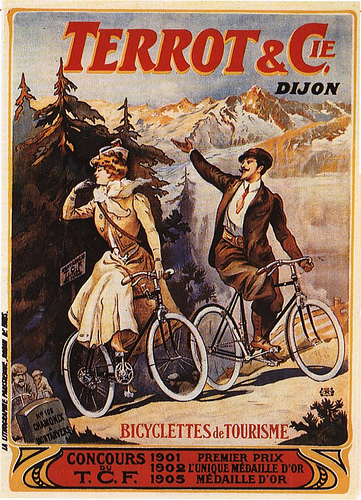 From its 1887 beginnings as a modest textile workshop built by Charles Terrot in rural Dijon, France, the Terrot enterprise grew to become a resoundingly popular manufacturer of bicycles and motorcycles over the next three-quarters century. 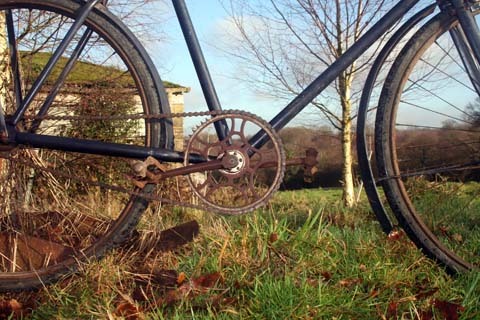 Terrot successfully combined ground breaking product, aggressive marketing and regularity on the podium to rise above a crowded field of interests vying for larger shares of the burgeoning two wheeled transportation market. When in-house production finally halted in 1961 over 600,000 units had been shipped to 3,000 resellers worldwide and countless Terrotistes created. 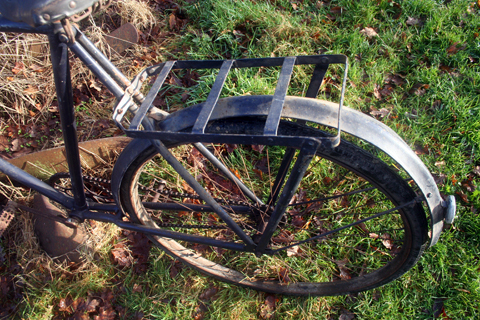 It was hardly an overnight phenomenon though: Terrot began producing bicycles three years after building his first textile workshop. He quickly expanded facilities to provide for the increased manufacturing demands introduced by this new business activity. 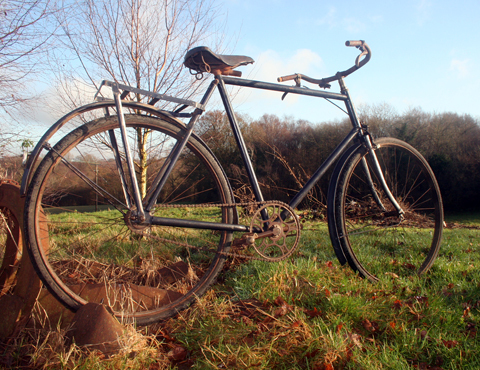 Bicyclettes Terrot was formally founded in 1890 and immediately began responding to opportunities made possible by early safety bicycle design and production needs left unaddressed by other industrialists. 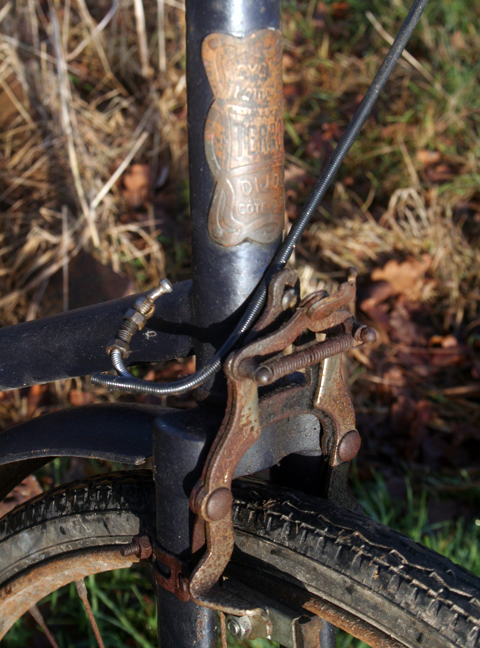 The bicycle license from 1933 is a nice touch. 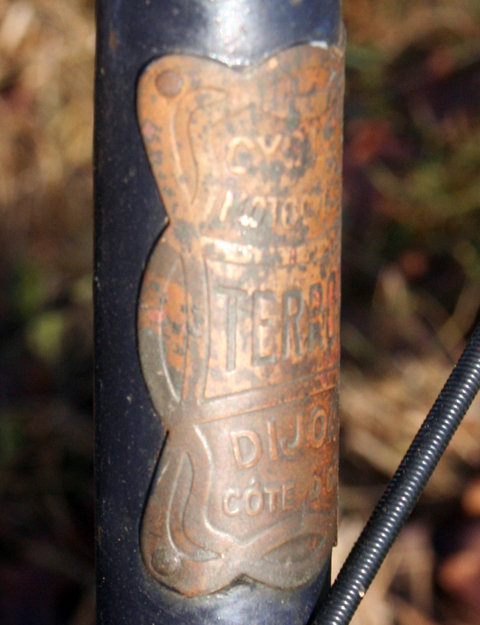 On the reverse you can see the name and address of the owner at that time. 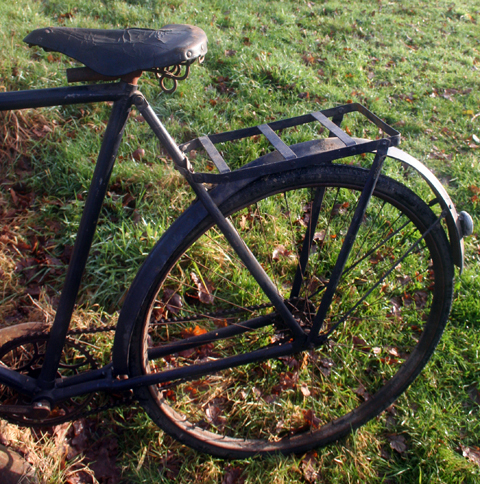 The saddle is a Lamplugh Model 210A. 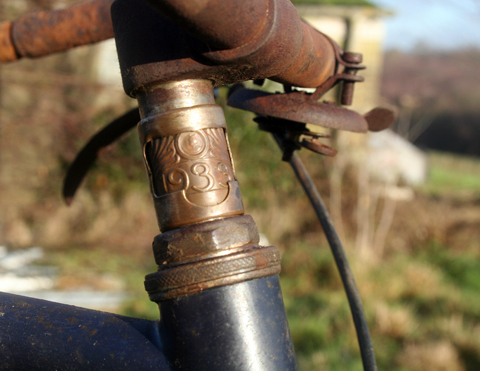 I’ve seen a 1920s Terrot motorcycle with a Lamplugh saddle, so I think they were used by the company. 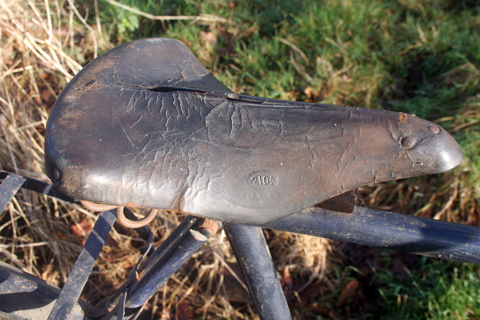 I believe Lamplugh & Brown were the earliest manufacturers of bicycle saddles. 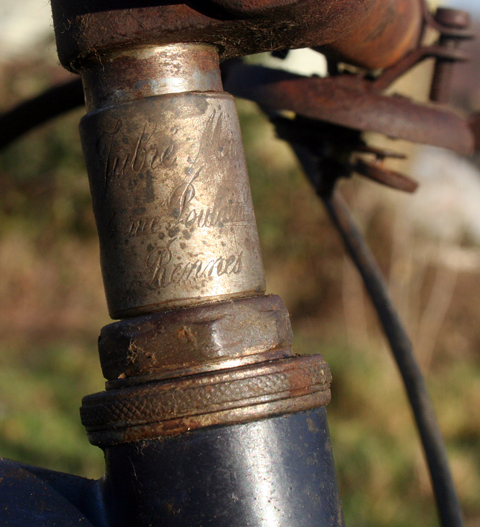 This confused me, as I’ve seen later saddles with the Lamplugh badge. 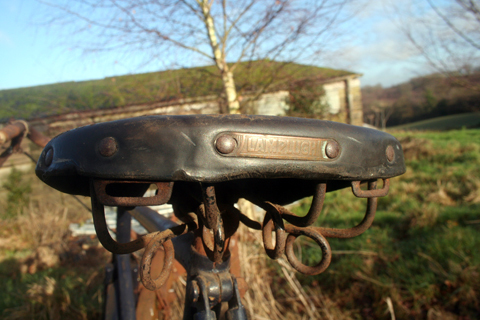 So I asked saddlemaker Tony Colegrave about this, and he told me that Middlemores merged with one branch of the Lamplugh company, but that the branch of the company based in Paris carried on making saddles under the original name.